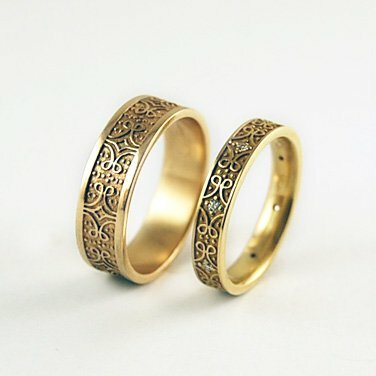 The bands exchanged at your wedding are a lasting symbol of your relationship. 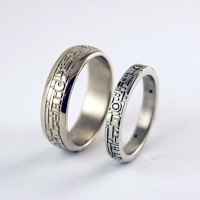 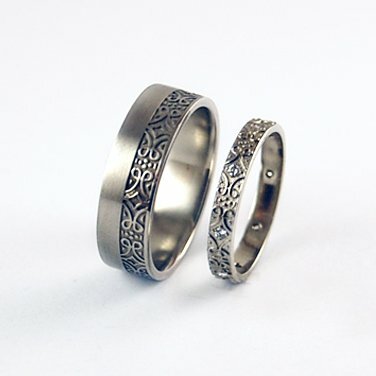 Many couples like the idea of matching or complementary rings to commemorate their marriage. The ring pairings on this page reflect our approach to design. Since we create all these rings, we are delighted to offer variations, adjusting each of the rings to suit each of the partners. 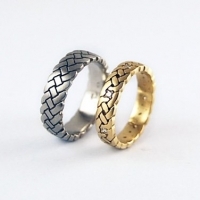 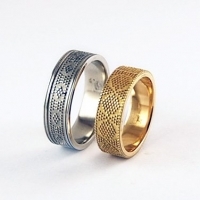 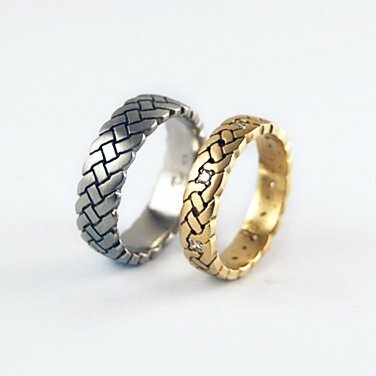 Your rings may share the same pattern, texture, form or finish; with the width and size of the ring being adjusted for each partner’s hand and personal inclinations. 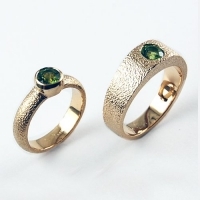 One of the partners might want a ring set with gems, while the other partner chooses to incorporate some of the same design elements into a ring without any stones. 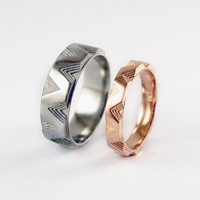 One partner may want white metal, while the other prefers rose gold. 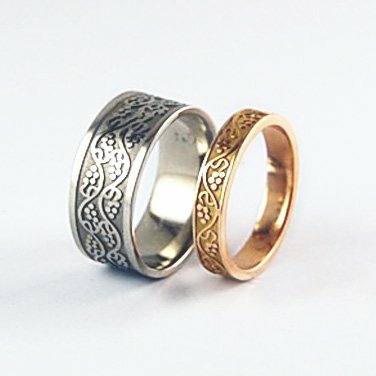 Take a look at the rings on this page to get an idea of some of the possibilities. We have created hundreds of individualized wedding ring sets and can help guide you to a very special pair of wedding bands, made just for you.